1. Email us to inquire more here. 2. Give us a call at (810) 636-2493. 3. Stop by and see us in the Pro Shop! Play 9 holes for $10 or 18 holes for just $20! Book your tee times online below. No additional cost! Stay connected with all things Goodrich by following us on Facebook! Click below. 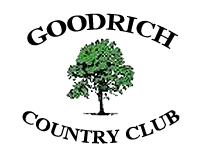 https://i0.wp.com/goodrichcountryclub.com/wp-content/uploads/2019/04/Goodrich-Membership.png?fit=940%2C788&ssl=1 788 940 Teesnap Developer https://goodrichcountryclub.com/wp-content/uploads/2018/03/2018-03-21.png Teesnap Developer2019-04-15 10:34:112019-04-15 10:34:11Join Our Family!